As a financial journalist for more than two decades, I can tell you that despite having great instincts about money and planning, there is a crisis of confidence in many women about their ability to manage money. That’s no surprise when you consider the years of conditioning women carry to take a back seat to men when it comes to financial decisions; equal work is not even valued the same.Â Against that backdrop I was excited to see a study by BlackRockthat found more women are feeling confident about their ability to manage money. Forty-two percent of the women surveyed in the BlackRock’s Global Investor Pulse study are confident they are making the right savings and investment decisions, compared with 34% one year ago. In addition, about half of the women surveyed report feeling positive about their financial futures. The survey also found that women could do more to create financial security in retirement. Just 55% are saving for retirement verses 65% of men. As a result, women were much more concerned about their ability to meet retirement goals. “It’s clear that women need to become much more active in managing their money toward urgent long-term goals—particularly retirement,â€ says Heather Pelant, head of personal investing at BlackRock. “But our survey also indicates that women have some key positive financial instincts that can lend valuable support to their saving and investing efforts,â€ she added. BlackRock’s research also found that women and men look at money and investing quite differently. 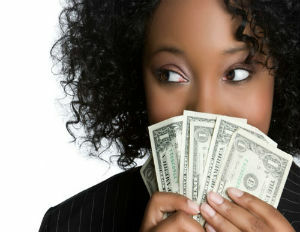 Women tend to emphasize the day-to-day health of their household’s finances. While 61% of women follow a household budget, just 23% regularly review the performance of their savings and investments. “Overall, in deploying their money, women are more focused on managing risks to their financial security and stability over the short term, and men are more focused on achieving long-term money goals,â€ says Pelant. “In fact, American women and men have a lot to learn from one another, as good financial and investment planning needs to reflect both objectives,â€ she adds.